With the increasing demand of market research, customer or product satisfaction it is been necessary to involve surveys or any survey data collection project to help a firm provide a single source for all their data processing needs. Survey processing is tedious and time consuming instruction manual handling. We are specialized in offering Order Form Processing Services. 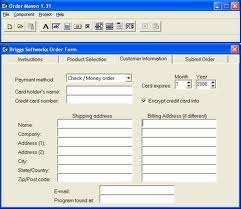 Our experienced Order Form Processing Professionals are abreast with latest technology and software. We have staff equipped with high end workstation, software and tools with fast internet bandwidth. Customer service representatives at Neosys are trained to treat our client's customer as their own and are imparted with requisite process and product knowledge to excel. Neosys is committed to delivering the highest quality service and world-class customer management with every single contact. - Use the drag & drop editor to quickly create a completely customized survey then link to it in your email or autoresponder and blast it out to your list. - We are doing Custom clearing & forwarding & shipping for air & seas, postal & courier cell. ACS helps an organization to put in place a continuous customer feedback monitoring process. ACS, which provides actionable, real-time feedback collected the moment your customer experiences your service. With the support of ACS, customer can tell you exactly what they experience of your service. GEW UV Lamps are exhaustively tested and developed to ensure a long trouble free life. In the unlikely event of a failure please complete the following form to ensure your claim is processed promptly and efficiently. Claims will only be considered if a fully completed form is submitted through our website.